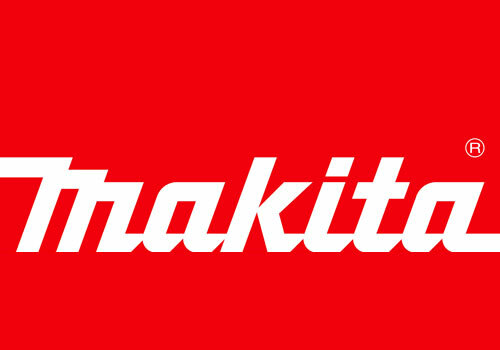 Makita has introduced three new tools featuring their 'BL' brushless-motor technology that provides improved reliability and performance. At the same time these new machines have a reduced overall size with the body length now up to 20mm shorter, making them more compact and more manoeuvrable than previous models. The new Makita DHP481 LXT combi drill is powered by an 18V Lithium-ion battery and the brushless motor enables up to twice the run-time of traditional motors and is rated at 640W power output. 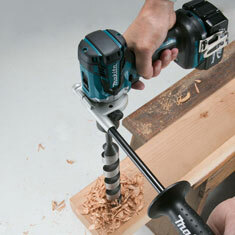 This two-speed drill will run up to 2,100rpm in high gear and 550rpm in low. The 13mm single sleeve keyless chuck enables 16mm capacity in masonry, 13mm in steel and a massive 76mm in timber. 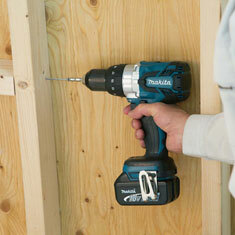 Torque can be adjusted to 21 alternative settings and has a dedicated drilling mode. This new brushless Combi weighs just 2.7kg, and is more compact than the previous BHP458 model. The new Makita DDF481 LXT drill driver mirrors the main features of the DHP481, without the percussion function, and will run up to 2,100rpm in high gear and 550rpm in low gear. The new Makita DTW281 high torque impact wrench is rated at 280W power and will generate up to 280Nm tightening torque. This 1/2inch square drive impact wrench has a three-stage power selection function that will produce 3,500 impacts per minute in high, 2,600 impacts per minute in medium and 1,800impacts per minute in low setting. 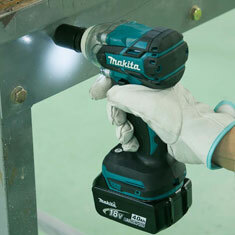 The Makita DTW281 will drive home an M20 standard bolt and an M16 high tensile bolt. This new, powerful impact wrench weighs just 1.7kg and at 147mm overall length is 18mm shorter and more compact than the current DTW251 model.